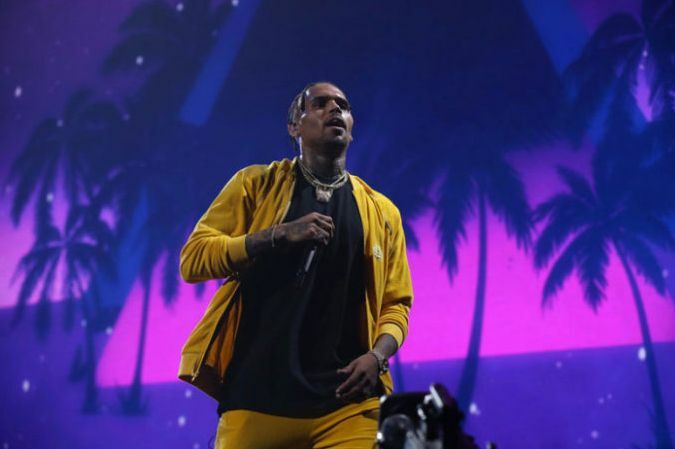 Heartbreak on A Full Moon will mark the prestigious album that nab on Chris Brown. This album is a surprise because after breezy keep putting the album on anticipating no one could even agree that Heartbreak on A Full Moon will be released and will no longer face any more prolonging or get new releasing date. We all love Chris Brown songs so the fondness here is that we need this album to be stream on Apple Music. Chris Brown new is vast track-list after we have review as a double disc album which is having an estimate of 45 track burned inside CD. Breezy and been on good leap out his new songs without compiling it as a project but thing has positively get to the best side and he then decide to put a smile on his fans face. There's this tracks that strive fans to stick on an album that will get those track features. Songs like ‘Privacy‘, ‘Questions‘, ‘Party‘ (Feat. Usher & Gucci Mane), Pills & Automobiles (Feat. Yo Gotti, A Boogie Wit da Hoodie & Kodak Black) and the latest one ‘High End‘ with Future and Young Thug. As you can see this are the most hot songs on Chris Brown Heartbreak on A Full Moon. Heartbreak on A Full Moon is out with a full expectation from those who dream to have it played on their device or even stream it on digital store. Is cool album which link up with our popular hip-hop and RnB artist. R. Kelly is also guested on a track called Juicy Body. 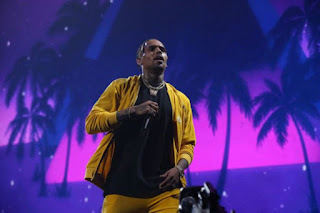 Without much emphasis, we ought to acknowledged that Chris Brown just turn down after last album but indeed he has give a courtesy that all fans is like with the help of his new album. How Many Track Is Chris Brown Heartbreak on A Full Moon ? Just like i said earlier in this post, the album is a double disc album that welcome so many track. About 45 tracks from Chris Brown embarked to the compiled album which also justify the assiduous smart work from Chris Brown. From the first disc, we will see some tracks with the help of some artist as a featured artists. The list below is a full detail about the album as for track, feat. and producers. So that is the full list of tracks on Chris Brown Heartbreak on A Full Moon meanwhile lets stream and listen the full tracks blow.